The gold cup! 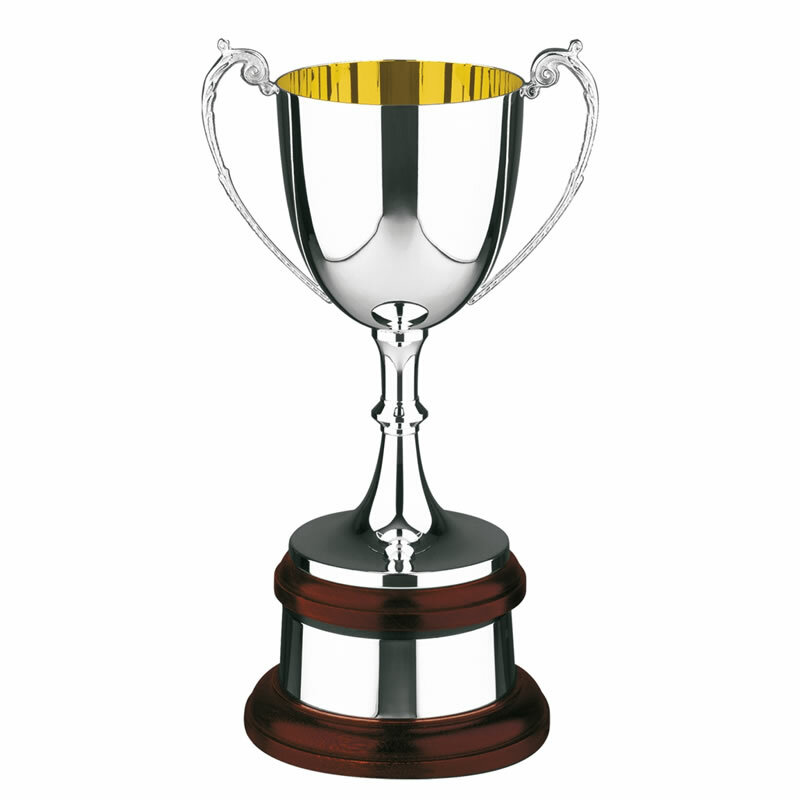 A heavily silver plated trophy cup with bright, gold plated interior. Mounted on a solid mahogany circular plinth with integral silver plated plinthband. These highly attractive trophies are handmade in Britain and are ideal for engraving. They are sold with a lifetime warranty. This impressive goldplated trophy cup is available in one size, 12.25in (311mm) tall (including plinth).